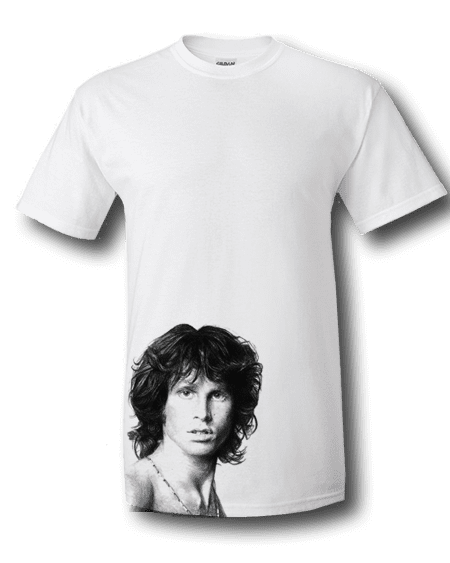 Bespoke Jim Morrison T-Shirt by artist Mark Reynolds. 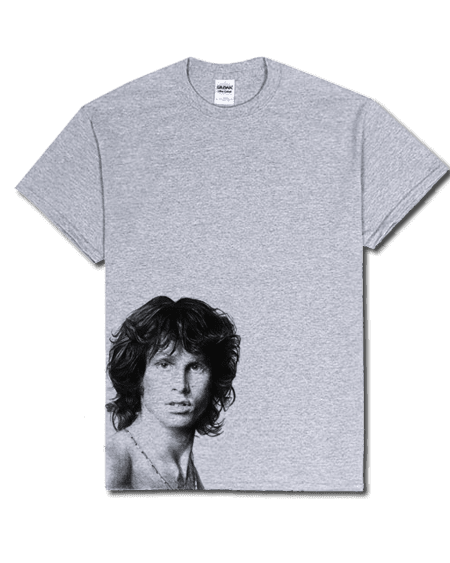 This image was originally an A2 pencil drawing and has now been reproduced onto T-Shirts. 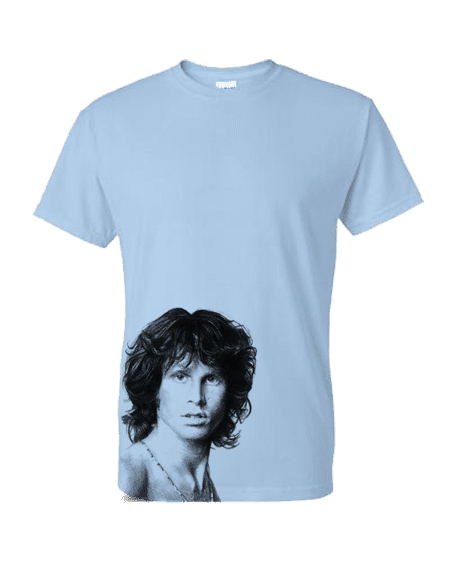 This T-Shirt is available in a wide range of colours and sizes. 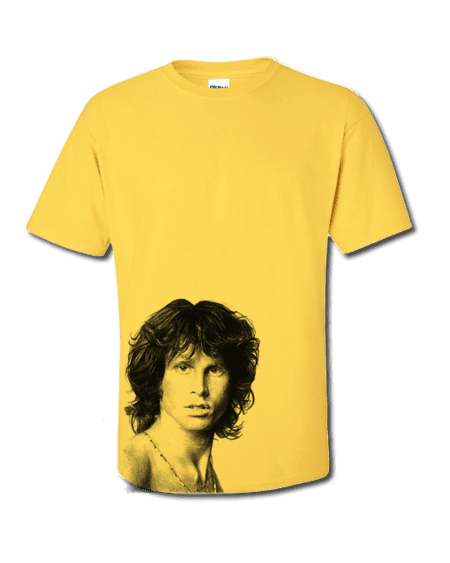 It is exclusive to Mr Art and can only be purchased from this website. 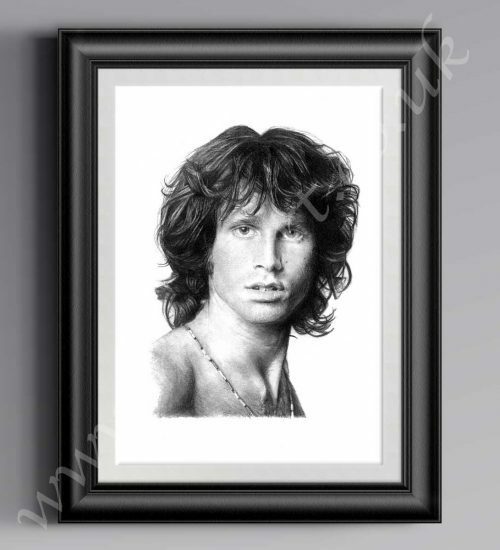 This image is also available as a Limited Edition reproduction print in a series of sizes.